The Carn Brae Bed & Breakfast is situated on Blackpool´s New South Promenade, just 3 miles from the town centre. Tram stops are just 50 metres away, providing links to town Centre Cleveleys and Fleetwood. All rooms have en-suite facilities, tea/coffee making facilities and a TV with Freeview channels. The Pleasure Beach, Sandcastle Water Park and South Pier can all be reached in a 15-minute walk. There is plentiful free on-road public parking outside the property and in the surrounding area. Please inform The Carn Brae Bed and Breakfast in advance of your expected arrival time. You can use the Special Requests box when booking, or contact the property directly with the contact details provided in your confirmation. If the reservation is for one night, the entire cost of the reservation will be immediately charged. The property only takes small dogs. Guest are welcome to arrive any time on the date of the check-in, but the rooms will be only available from 15:00. Luggage storage is available. Please note public parking is available on the surrounding streets. A TV and tea and coffee facilities are included as well as a selection of toiletries. With an en suite bathroom, this room includes free Wi-Fi, a TV and tea and coffee-making facilities. With an en suite bathroom, this modern room includes free Wi-Fi, a TV and tea and coffee-making facilities. This room has one double bed and one single bed with 2 ft, 6 inch pull out bed, which is suitable for children 14 years and under. This room features sea views and a TV. This modern room with a sea view features a flat-screen TV, tea and coffee making facilities, and an en suite bathroom. Features a flat-screen TV, tea and coffee making facilities, and an en suite bathroom. This suite has 2 rooms, one has 1 double bed and the other room has 1 single bed and 1 pull out bed. 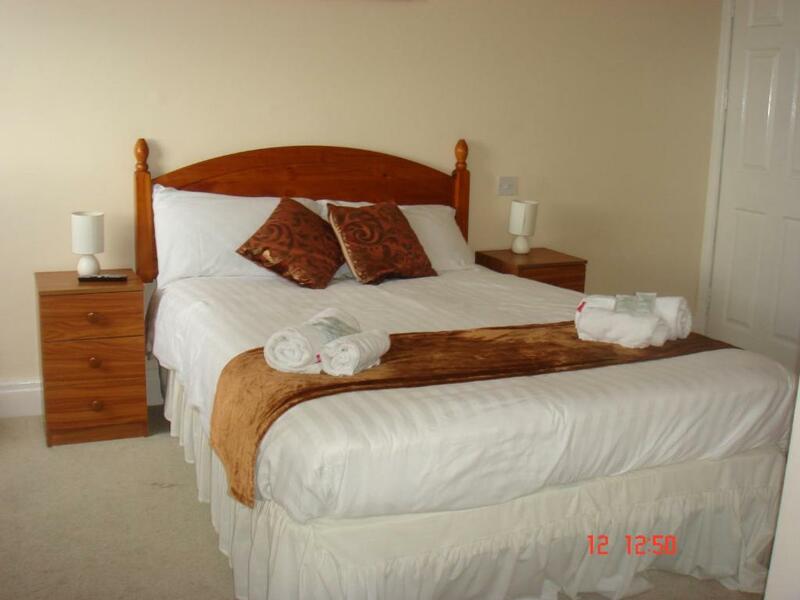 Both rooms have en-suite facilities, heating, carpeted floor and a flat-screen TV in each room. There are tea/coffee making facilities and there is an ironing room available to use on the second floor. Your experiences are very helpful to other travellers. On a scale of 1-5, rate the equipment you have used during your stay at the hotel The Carn Brae Bed and Breakfast and express your opinion. Your opinion is important! I certify that this review is based on my own experience and is my genuine opinion of this hotel (The Carn Brae Bed and Breakfast), and that I have no personal or business relationship with this establishment, and have not been offered any incentive or payment originating from the establishment to write this review.